Universidade Lusófona de Lisboa will host the Lisbon International Startup Meeting (ISUM) on 3 and 4 July together with the Congress of Entrepreneurship and Innovation in Latin Speaking Countries (CEIPEL). The International Startup Meeting (ISUM), led by the international AIESEC Alumni organization, seeks not only to bring together the most promising entrepreneurs in the country but also to maximize their potential as business leaders. Allied to the organizing committee of CEIPEL, 2nd Congress of Entrepreneurship and Innovation in Latin Speaking Countries, we guarantee a robust program that includes a series of activities, such as leadership seminars, roundtable discussions, workshops and an international startup challenge. Participants will have the opportunity to attend the lectures of great entrepreneurs, who have achieved great success in their endeavors, which will share their experiences and knowledge. We also have the presence of high representatives of public entities, which will address future growth policies and share the vision of western states in relation to entrepreneurship, particularly in the innovation and development sectors. Startups from around the world can sign up to participate in the Lisbon International Startup Meeting challenge. Subscribers will build their business models through an innovative technology platform. The best ones will be selected for the second stage evaluated by a jury of consultants and investors. Each selected company will have 3 minutes to defend its idea and prove that it deserves to be among the 3 winners who have won a series of awards. Registrations on the site (https://store.isum-lisbon-2018.site/) are open. 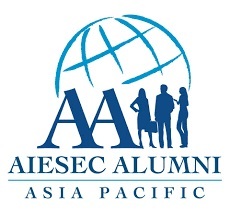 AIESEC is the world’s largest youth-run organizations developing the leadership potential of young people worldwide. Present in over 125 countries and territories with 70,000+ members across 2600 universities, we offer young people a chance to develop their leadership potential through life-changing professional and personal development experiences. Since 1948, we’ve developed over one million people, including one Nobel Peace Prize Winner, and many prominent world, business and civil society leaders.